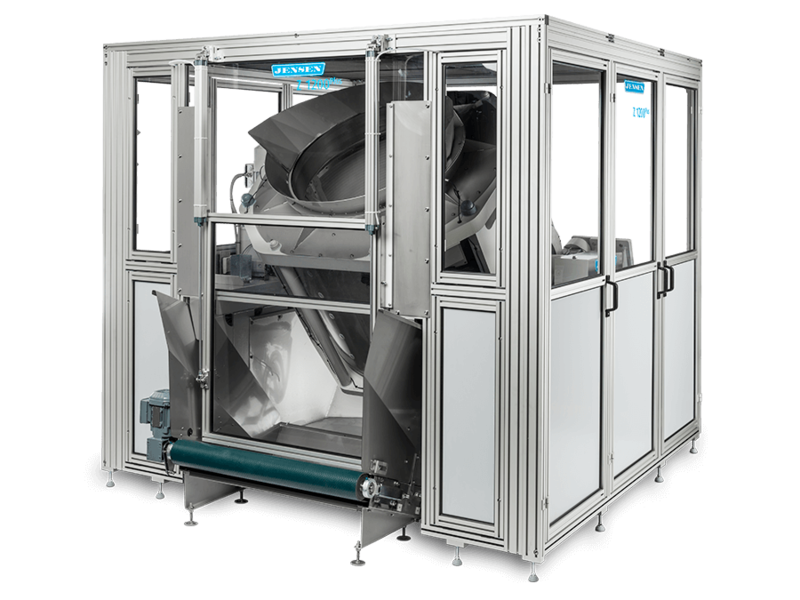 For machines processing only dust mats 4 fixed beaters are installed. 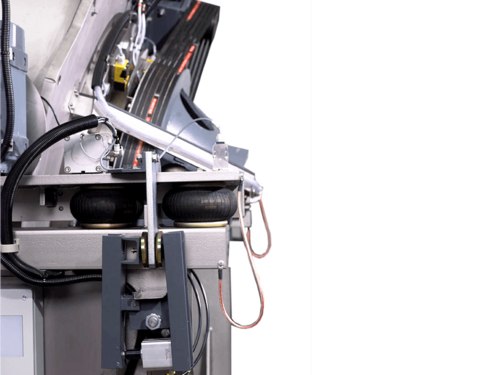 The high drum volume ensures an even distribution of the mats and the large opening of the drum ensures a fast loading and unloading even of bulky batches of dust mats. Outer drum of stainless steel, pivoted vertically by two strong shafts. 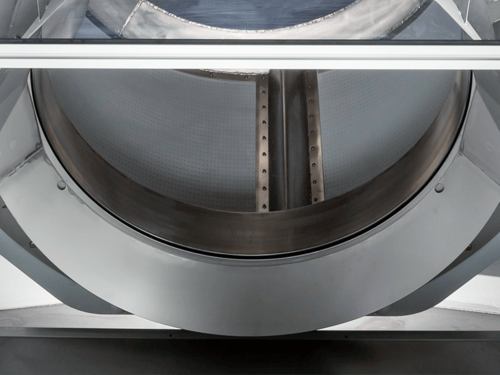 The new inner drum has been designed by means of the most modern development methods to ensure maximum safety at high G-forces of over 800 G and has been equipped with a large perforated surface for a quick drainage of the water. 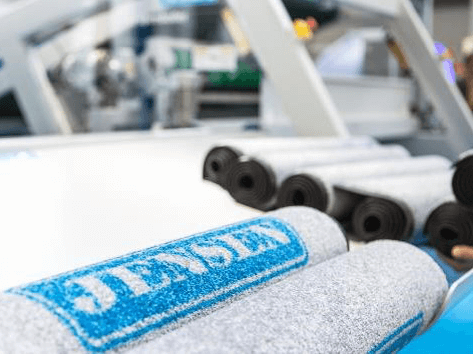 The patented balancing system to reduce unbalances is ideal for dust control mats as their material, composition, size and water inclusion („water bags“) tend to have more unbalances than conventional linen types and have therefore special requirements for the unbalance correction.